Let’s have a slow cooker holiday season! 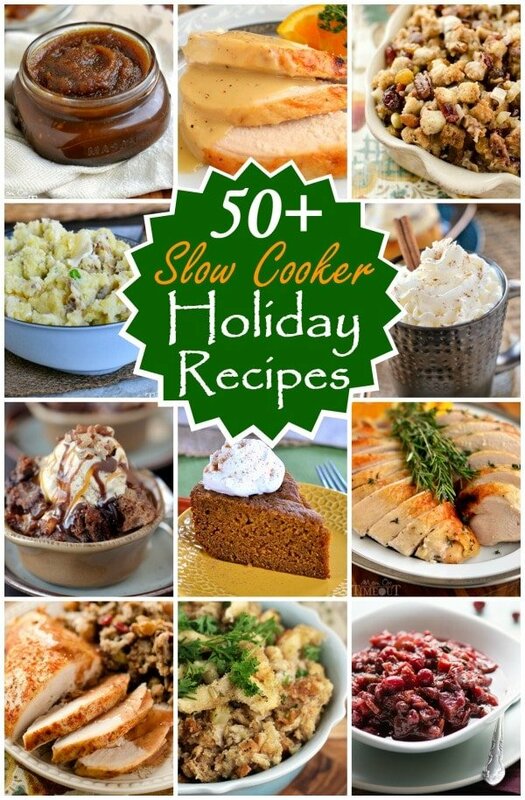 More than 50 Slow Cooker Holiday Recipes to get you out of the kitchen and spending more time with your family! There is nothing I love better during the holiday season than spending time with my loved ones…the food does come in a close second though. I am a firm believer in letting the slow cooker do the work for you and the holidays is no exception. To say I am obsessed with my slow cookers would be an understatement. Make sure to check out more yummy slow cooker recipes here! This round up has everything: sides, appetizers, drinks, desserts, and of course the turkey! There are so many fabulous recipes in this collection here that I know you are going to want to pin! PLEASE remember to click on the image and pin from the source! You can of course pin the entire collection using the collage at the top of the post 🙂 Thank you! Slow Cooker is the way to my heart so I LOVE this round up for the holidays! Thanks for including me! You are so welcome Julie! Happy Thanksgiving! Love this roundup 🙂 Found a few new things to pin. Thanks! Love all of the dishes that you can make in a slow cooker! These all look amazing! Everything looks amazing! I love that they are all made in the slow cooker and seriously can’t wait to add a few to our dinner menu – pinning! That’s awesome Kelly, thank you! Can’t wait to make my way through this list!! Thanks for including me, Trish! I WANT IT ALL! Don’t they Jocelyn? Love yummy slow cooker recipes!